What about the drivers, maybe older version? Is CPU mining working just fine on that system? You can try downloading the archive with the files again, it now includes two versions of ethminer to try – one for CUDA (also supports OpenCL and CPU) and one with OpenCL and CPU only. Anbieter	Advanced Micro Devices, Inc. I get the same error for HD 6950 2GB gpu card with the latest AMD Drivers, AMD APP SDK and 2013 C++ redistribution installed. Also, this article should have shown how to solo gpu mine too. The pool get a few too many RPC connection lose, so that a lose in mining hash. I meant “gets too many…”, “connection loses” and “that’s a lose in mining”. As far as the older AMD/ATI cards, maybe the miner is only optimized for the Radeon HD 7XXX and later cards…..
ETH mining seems to be still buggy and not optimized, a lot of people still seem to have problems, hopefully this will be resolved with updates of the miner software. So try both versions of the ethminer, the CUDA one also supports OpenCL and CPU mining. I keep getting an error about “illegal memory access” for my 560Ti. Does anyone know what’s wrong and what I have to do to fix it? 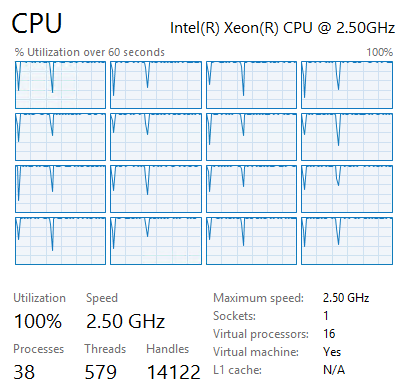 The CPU miner works perfectly… albeit slow. If you are having trouble with Nvidia GPUs running the CUDA miner, then you can try to use them with OpenCL… it could work and the difference in performance is usually not much. I guess you need a gpu with more than 1GB memory. I have downloaded the files, etc. but I still can’t understand from your post how I can mine with my GPU Cuda or smth else. If I want to use GETH, what .bat file should I create for solo mining, what should I write there? could you please reply and help me set it up correctly, thank you. ethpool has stopped accepting new miners for the moment (new wallet addresses), so that is why it is now rejecting new user connections. You can try solo mining as unfortunately we are not aware of an alternative pool available for the moment. display in console : account does not exit or account balance too low. I wanted to download compiled program, but my Mozilla displayed a notification that it was reported as a dangerous software. nhulongpm, in the command try to replace eth.coinbase with your wallet address in quotes and see if it will work. No Problem more.. found the problem…. Mr.X I got the same problem with 6970 card.. will you help me ? Hi All, I am running Windows 10 on an Intel Celeron 1.8GH. I have downloaded the files, started geth-console.bat and still having this since 4 days. Wi-Fi has been disconnected sometimes. Does it take so long to generate a wallet address ? The wallet address can even be generated when you are offline, make sure you follow the guide on creation of the wallet. Does it mean that I have the entire blockchain and can move to the adress creation ? Guido, it means that you are synchronizing the blockchain, you can see the number of the block and compare it to the latest from a blockchain explorer to make sure. Ok, perfect it worked on Windows 10. If 0.1 is the hash rate, what is C ? G ? what about the other options ? -C is for CPU mining, since the hashrate of a CPU is much smaller compared to GPU you need lower difficulty. -G is for GPU mining using OpenCL, should work on both AMD and Nvidia-based video cards. -U is for GPU mining using CUDA, you need to use the CUDA-capable miner as the standard one is only for OpenCL. how it works with the 6990? Whats the hashrate? Is this worth mining ethereum? If you also have free electricity it might be somewhat worth it… otherwise CPU mining is pointless. There are other crypto coins that are CPU only or mining with CPU is not much slower than GPU mining. Thank you for your reply admin. Maybe a little out of topic (sorry) but could you advise me to start mining a specific crypto coin to take advantage of this cpu’s? Goodnight everyone, I’m trying to mine with my Zogis video card Gforce 6500 1gb ddr2. however appears a driver mensangem cuda wrong version. already installed the nvidea driver straight from the site, both in windows 7 as the 10 in opcl also does not work in certain mining CPU. I’m just not getting the video card. Anyone know why? I’m having problems to mine with more than one VGA card. 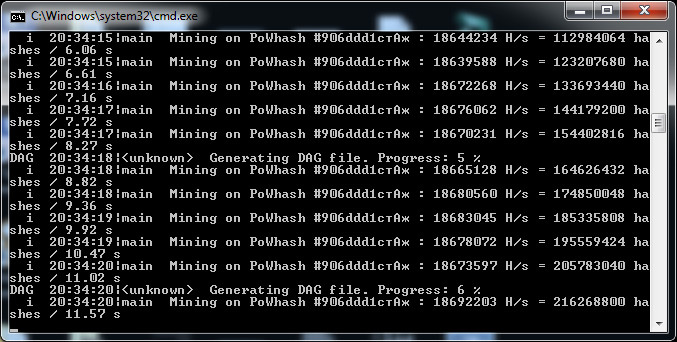 I can mine perfectly using one VGA card.. If the miner is running only on the first GPU you can manually set all GPU IDs via the command line, so that they all are going to be used. Am I up and mining now? or is it just running in a loop? I did everything right in the instructions. I am running windows 10 on Nvidia Geforce Gtx 960M with an intel core i7. any info would be greatly appreciated. Stark, yes, you should be. Using your wallet address you should be able to check the stats at the pool you are mining. ” ethminer /? or something like that that would scroll a list of possibilities ???? You can use -h or –help to get the list of available options, the downloadable archive comes with help.txt files with commands as well. Error: Account ‘9d703459d03ad3d55a354e414f161f4a5c02410a’ not found! what does this mean? how do i know if my shares are being accepted or not? will you tip me some coins, as iam new to ethereum and i have no eth, please. I have the newest “Crimson Edition 16.2.1 Hotfix” Driver from today came arround first March 2016. If you have a GPU with 2GB of memory and receive the following error: “Allocating/mapping single buffer failed with: clCreateBuffer(-61). GPU can’t allocate the DAG in a single chunk. Bailing.” You can try setting the GPU_SINGLE_ALLOC_PERCENT environment variable to 100 by running in the command line the following command before the miner: SET GPU_SINGLE_ALLOC_PERCENT=100 to see if it will fix the problem. I got a GPU doing around 5MH/S and I decided to mine solo for now. I read about not being connected to the internet while mining solo shouldn’t make problems. Can you confirm that? In which periods do I have to start geth –rpc to keep the chain up synchronized, especially for solo mining? There is no point to try solo mining with just 5 MHS. You need to be online when mining in order to have a synchronized blockchain. Did anyone figure out what hashrate you’d get out of an HD 6990??? just started. anyone wanna throw me a coin?? Why is the blockchain so massive in data storage? The target is 1920000 and I’m currently at 917246, the data files currently amount to 7GB. This means the folder will be a huge amount by the time the block has finished syncing. can you help me out if i have to do something to get that decent amount mhs ?! Still does NOT work with Windows 10×64 with CUDA 9 dev kit installed. Still does NOT work with Windows 10×64 with CUDA 6.5 only installed. Does NOT work on nicehash statrum connections , or with a Tesla m2050 or m2070 compute 2.0. Yes, I have tried it with CUDA 6.5, 8.0, and 9. Also tried without other GPUs of a higher compute level such as 3 and 5.0 (750ti). The Tesla cards have 3GB and 6GB of GDDR5 ram. Aborts when trying to download a work unit. Aborts when trying to run on open CL instead. Tried to run the sample batch files included, nada. Tried to create a new DAG, failed. Removed the 750ti 2gb ram gpu running alongside and it still crashes. Even though I specifically told it to use the Tesla GPU. The ancient versions all over the github is confusing. Other searches on google not helpful. Do I have to recompile from source code, if so which one runs right?